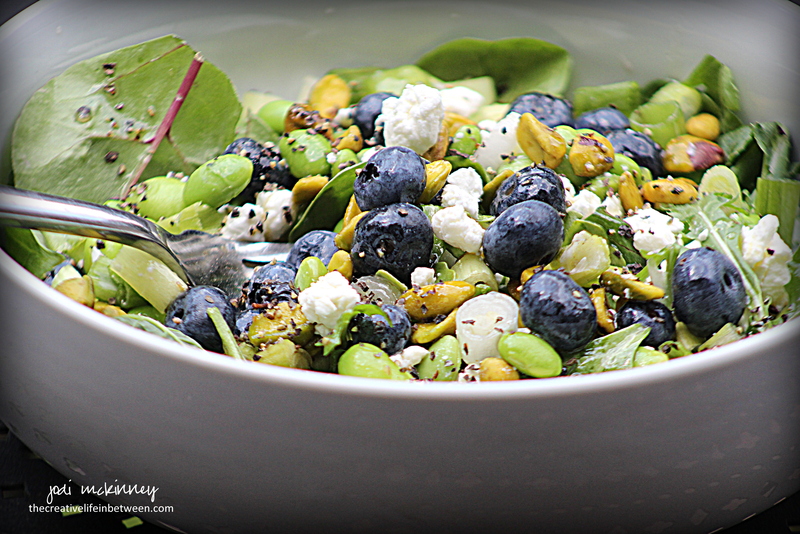 Fresh Blueberry, Pistachio, & Edamame Salad with Goat Cheese. Summer is such a glorious time of fresh bounty. Salads become meals made from fresh fruits and vegetables. 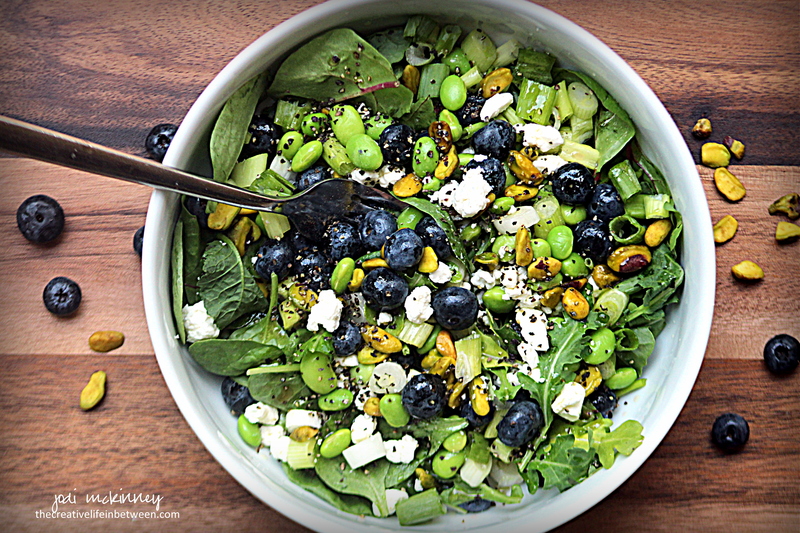 Like this yummy salad I made for lunch one day with some plump sweet and tart blueberries, crunchy pistachios, protein and fiber-rich edamame, and creamy crumbled goat cheese piled on a bed of greens. All of this drizzled with a honey red wine vinaigrette is heaven in a bowl! What is your favorite summer salad? 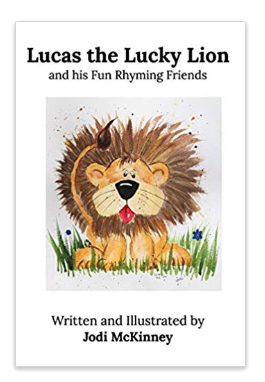 There are so many wonderful combinations and possibilities! In a bowl, place a handful of mixed greens. 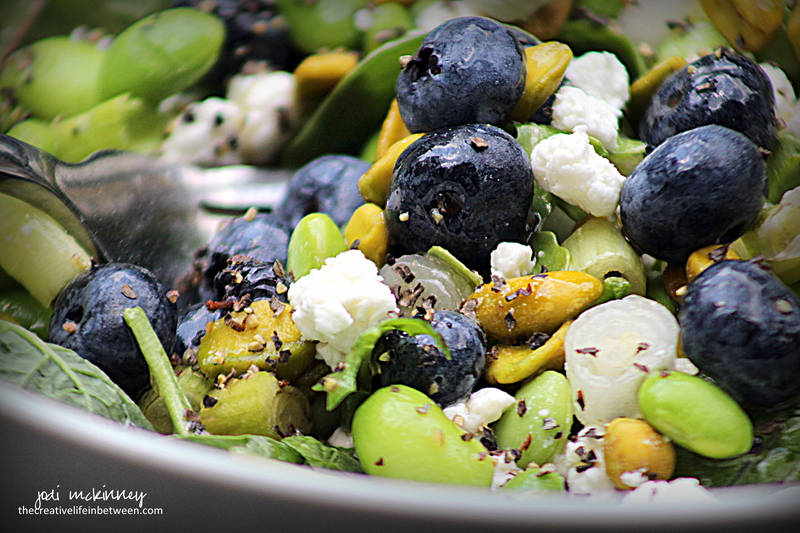 Top with fresh blueberries, pistachios, edamame, goat cheese, and green onions (if desired). Drizzle with Red Wine Vinaigrette Dressing. What a combination! Never thought about it! Good job! I know – right – the beauty of salads – so many possibilities! This looks delicious! Never thought to combine pistachios with blueberries, etc. I’ll try it! I didn’t either until that moment LOL! Oh wow! That looks and sounds absolutely divine! was really yummy! and better for me than the blueberry muffins I considered making LOL! Looks very lovely and healthy Jodi…. ! This looks delicious – except, I will have to substitute something for the goat cheese and onions are never an option for me! I do love that vinaigrette dressing, that’s how my daughter makes it too! Now, from the toddler’s point of view: “only the blueberries.” I explained to Benjamin that you will not be able to do any animals and stories for awhile. He asked “why?” Gem’s words: “You know when you want something and I say to Please wait a few minutes, I am busy right now! Well, Jodi is very busy right now.” Benjamin’s response: “Okay, a few more minutes.” We are off to visit Buzz! Thank-you!! 5 stars Jodi! This looks fabulous! I always forget about edamame! And when I remember, I go through an edamame kick until we are sick of them. I bet this is delicious with all those luscious blueberries with them! We sure do have Costco! 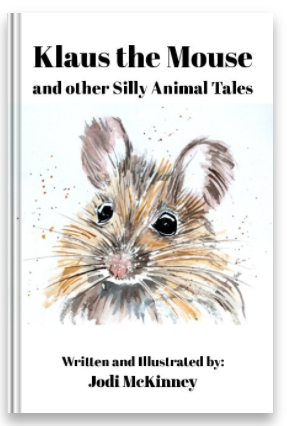 Sounds like a great book! So refreshing! Great combo, did you make it up??? So creative! Your photography makes it look extra yummy too. Had this for lunch today.. Yummy! Only change is I added blue cheese instead of goat cheese. Yum! I love blue cheese toooo! Great change up!